Exploding Galaxy phones: What did Samsung know and when did they know it? MacDailyNews Take: Apple invented the modern smartphone, so this is not a difficult decision at all. Anyone who decides to buy an iPhone knockoff from a crooked South Korean dishwasher maker is obviously not the crispest lettuce in the salad. Stop using my pseudonym Troll!! Fuuuuuuuu I’ll call myself what I like! Trolls like you need to die stat. Truly sad you feel the need to come on here (same troll as usual) miscreant with so little in your life and imitate regulars to get your twisted pleasures. You are one miserable little pathetic wretch of a troll who can’t be removed off the planet soon enough. Samsung has been selling low quality products for years. Only now the public is beginning to realize this. When I was shopping for TVs from Costco a few years back, the salesman told me that they get more returns on Samsung products than anything else. The fact that they STILL don’t know what is causing the Note 7 fires/smoke/heat I think is the scariest part. Kind of cast a doubt on anything new they produce. Samsung obviously KNEW it was NOT a defective battery. They lie… Samsung initially released a software update for the phone, which limited battery charging to 60% of designed capacity, as an alternative to getting phone replaced. This was before official recall. 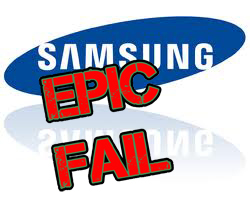 How could THAT be a fix if Samsung actually believed the cause was defective batteries. A defective battery does not get fixed with a software update. The cause is (and was) obviously a DESIGN FLAW. They’re finally admitting it by throwing away the design. Exactly. Then the question is why in the world did they give their customers replacement phones when they knew those things were not safe? It completely baffles me that they could be so negligent. Maybe the reason is more soap opera-ish, and the son is trying to give the matriarch another heart attack. Internally, Samsung’s corporate culture may also have compounded any issues. Two former Samsung employees, who asked not to be named for fear of retaliation from the company, described the workplace as militaristic, with a top-down approach where orders came from people high above who did not necessarily understand how product technologies actually worked. “Maybe they should look harder and closer at what is happening at the management level,” said Roberta Cozza, a research director with Gartner Research, who cited the damage to Samsung’s credibility with customers as well as telecommunications carriers. Not an original problem. Crap management is the default in these days of short term thinking, long term disaster. ShamShite just happens to be the best at FAIL. Moron Troll – STOP USING even variations of my name!! Idiot. Ffffffffuuuuuuuuuu I’ll do what I like otherwise you can fffffffffofffffff and die like Samsung!!!! You need to get back to your 4th grade class junior. You are such a nasty person Pete. If the name ain’t WordPress blue it ain’t true. Clumsy try from a faux-Derek moron of the lowest and slimiest, slithering social pariah type. I suspect there was some internal sabotage. Or perhaps an aftermarket malware virus, or such a virus was used to trigger the sabatoge. Most likely a software code designed so that under just the right, rare, conditions it would cause the battery to overheat. There are a crap-ton of Chinese phone makers that will benefit greatly from the fallout from this. Follow the money my friends. Few companies operate for long without some sort of defects in their products coming to light. The important thing is what they do about it when a problem comes to light? Samsung went into a mode where they tried to conceal the nature of the problem, banned staff from communicating via e-mail so as to not leave a trail and initially trying to deny the issue. We all know how that worked out for them. There are also similarities with the saga of Samsung washing machines catching fire in Australia and New Zealand three or four years ago. 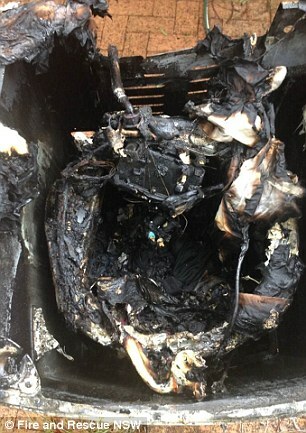 Samsung did a recall and machines were claimed to have been fixed, but some of those repaired machines then caught fire. I’ve seen similar problems happen with a major Japanese electronics company. They were shipping defective video tapes, radio microphones with a design flaw and cameras with another design flaw. In each case those problems were repeatable and easily demonstrated, but the company insisted that any problem must be elsewhere. Switching to another brand solved all of those problems, but huge numbers of people in the industry saw how that company behaved and decided that it was a company that could no longer be depended on. I can understand why companies want to promote the impression that their brand is trustworthy, but you don’t achieve that by denying the evidence that people can see for themselves. If you have a brand that you want people to trust, you need to act in a trustworthy manner. I’ve been using the word ‘untrustworthy’ in connection with Samsung for many years. Initially when they ripped off Apple’s intellectual property. I then said they were untrustworthy when they cheated benchmarks for CPU performance. On multiple occasions, I’ve called them out for being untrustworthy for the obscure way they release shipping numbers for their smartphones by giving private briefings to selected analysts who then come up with their guess of the shipping numbers. Being untrustworthy is a long-established trait for Samsung and it comes as no surprise to see that they have attracted so much adverse publicity in such a hugely spectacular manner. I note that the Samsung exploding washing machines problem went on for years, as in at least 2013 through 2015. My friend’s ScamDung washer here in Brisbane, Australia, burnt his house down earlier this year. He was lucky to get out alive. Maybe Samsung should segue into the IED business. It looks like they would be pretty good at it! If they work as well as well the Note 7 it could mark the end of some terrorism. You know, for a very long time Samsung has had power related issues on their products. I had a D8000 TV a few years ago and the DC inboard went bad, and started smoking. I unplugged it and it continued, had to use the fire extinguisher. Samsung actually replaced the tv after sending out a tech to evaluate it, which was surprising, but the new tv? It did the same thing in about 2 months. Rather than admit their problem they kept offering me replacements, but I turned them down. They never refunded my money in full however, which I was ok with just to get the thing out of the house, but this isn’t a new problem for them. They either have bad electrical engineers, or use really faulty parts without complete quality control. It’s terrifying that they could let something g like this get past the QC department on multiple products, and still not have isolated the root cause.